An end to owners of claims management companies (CMCs) closing down one firm without fulfilling their obligations or paying their debts and opening another – known as ‘phoenixing’ – is on the cards under new proposals from the Financial Conduct Authority (FCA). 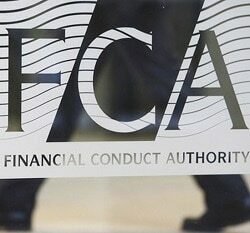 The FCA is taking over the regulation of CMCs from next April and today it issued a consultation on how its senior managers and certification regime (SM&CR) will apply. Senior managers will be subject to a criminal records check and have to provide references from all previous employers in the previous six years, among other requirements. “There is evidence of misconduct among some firms in the CMC sector, which is harming customers,” the consultation said. “There is evidence that some CMCs have poor governance arrangements and do not have competent staff who understand the regulation the CMC is subject to. The current regime does not involve key managers being authorised before they start their role. The consultation said: “This means that individuals who are not fit and proper to lead a CMC may close down one CMC and move to another, without fulfilling their obligations to customers. “If a director does this, eg by taking over an existing authorised CMC, it is known as ‘phoenixing’. The [Claims Management Regulator] reported 30 possible examples of phoenixing between 2015 and 2016. Under the proposals, a small number of senior roles within CMCs will be designated senior management functions and people doing these jobs will need to be approved by the FCA annually. 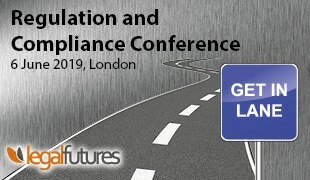 Senior managers will have a ‘duty of responsibility’, meaning that, if something goes wrong in an area that they are responsible for, the FCA will consider whether they took ‘reasonable steps’ to stop this from happening. The FCA said the “key harms” the SM&CR aimed to stop happening were distress caused by poor service and delays, customers locked in to services that are unsuitable or priced unfairly, and harassment and aggressive sales practices. CMCs will need a senior manager and the larger ones (meaning a turnover of £1m+) will also have a compliance oversight manager. Further, each firm will have to certify that anyone who could have a significant impact on customers or the firm is fit and proper to do their job. There will also be conduct rules that apply to almost all employees.